Tim Burton’s live-action re-imagining of Dumbo is on course to defy the critics this weekend and become the second largest movie of the year so far. Data experts Applaudience forecast that the film will gross £7.6 million this weekend. As of 12pm today, Applaudience estimate that Dumbo has pre-sold over 200,000 tickets across the top 10 cinemas chains in the UK. Under the assumption that ticket prices are on average £9.75*, it suggests £2 million has been generated on pre-sales alone. With Captain Marvel pre-selling 357,500 tickets at this time before the opening weekend, they were able to generate £12.75m in ticket sales. 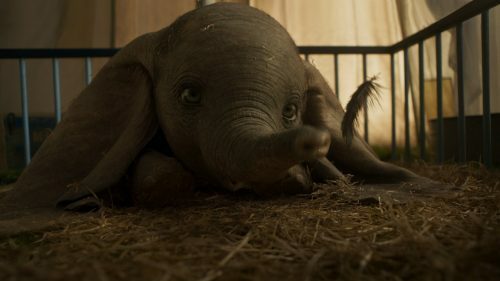 Given Dumbo’s 206,268 pre-sold tickets, the forecast is that the film could potentially reach £7 Million + before the end of the weekend. Using data mining software and sales analysis from the top 10 cinemas chains, Applaudience calculates the remaining seats available per screening, thus providing a reliable forecast of the numbers of tickets sold. Once the pre-sales are calculated, Applaudience can accurately forecast weekend box office revenues. *Ticket price is based on the average fare for all Dumbo showtimes on the opening weekend in cinemas that sold at least 1 ticket. This top 5 does not take into account any Event Cinema ticket sales. © 2019 Disney Enterprises, Inc. All Rights Reserved..